2017 was a stellar year for me. I qualified for Boston in January; ran my first ultra in February; ran my first trail ultra in May and then I worked my way up the ultra distances, culminating with my first 100 mile finish in December. I was pretty much on a high the entire year and didn’t give myself time to recover between races or process all the emotions that accompany such epic accomplishments. So, when I found myself feeling a little funk-ish in mid-January, I didn’t think much of it. I realized that I had asked a lot of my body and my mind in 2017, and it seemed quite normal that I was experiencing a bit of a low. I believe in the “fake it ’til you make it” mentality. I still had Boston on the horizon. I had to stay in the game. I continued to train, but couldn’t maintain my usual intense focus. I felt like I was drifting, without a goal. Qualifying for Boston was the biggie. Running Boston was like dessert. 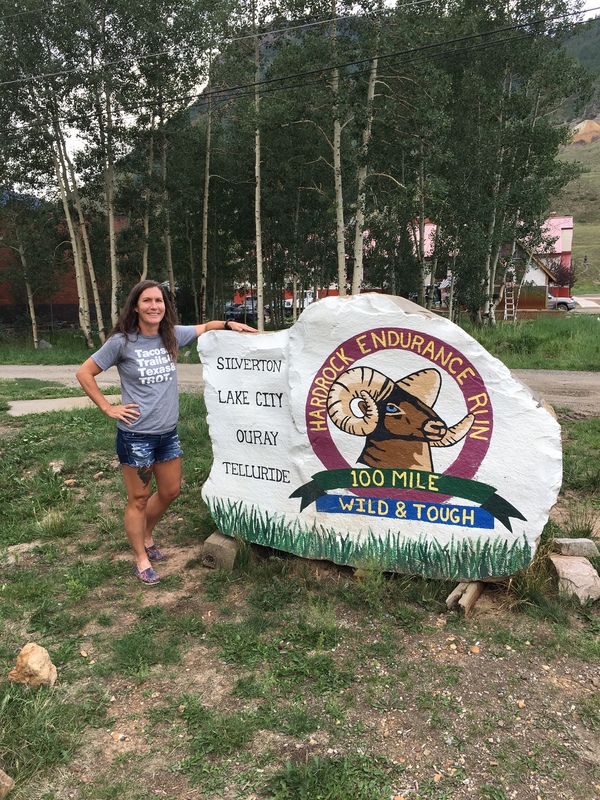 I didn’t expect to run at my BQ pace because I had wanted to check off my first 100 miler more than I wanted to maintain my absolute speed for the road. I continued to limp through training. I was still consistent, but not as consistent as usual and I couldn’t manage to find enjoyment in the process like I usually did. Spring Break came and I needed some trail therapy, BADLY. 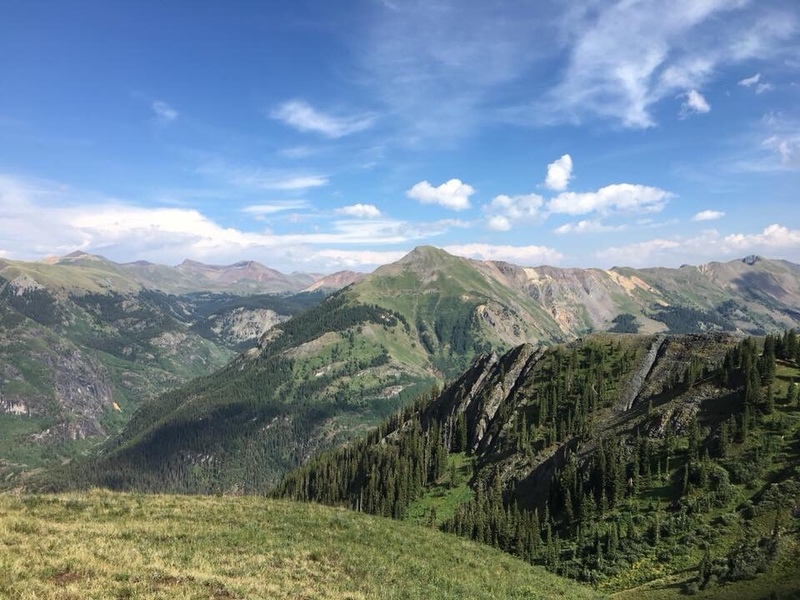 I hadn’t been on a real trail since my 50 miler in October, 2017. I talked my friend, Radkey, into coming with me to explore Cross Timbers on Lake Texoma. It was amazing and difficult and more than I could have hoped. I was on Cloud 9. And on our way back, I tripped, fell and broke my arm. The break obviously set me back, but my ortho gave me a soft cast and clearance to continue training. I suddenly felt a renewed focus. It was almost like I needed the added difficulty to give me a purpose. Boston came. The weather was horrible (by other’s standards – it didn’t bother me at all) and I was under trained but I crossed the start line with the intention of enjoying every step of that race. I did just that. Enjoying Boston with my besties! Running on Boylston Street was an honor! After Boston, I made the decision to change coaches. I loved my coach, but I couldn’t shake the feeling that it was time for a change. The decision was a difficult one that I agonized over. In the end, I trusted my gut instinct and made a leap of faith. I knew that in order to conquer the mountains, I needed someone who knew how to build a mountain runner. With Boston behind me, it was time to turn my focus back to trails!! 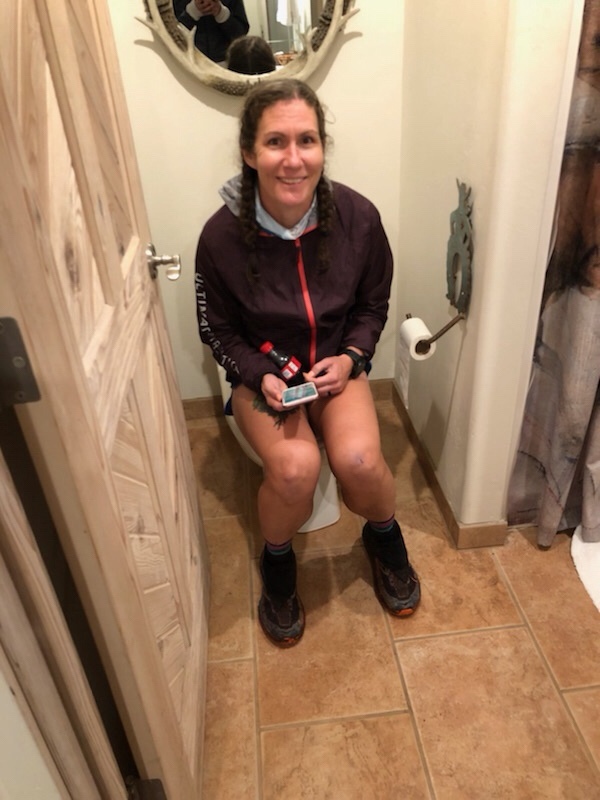 I had Possum’s Revenge 50 miler just 3-4 weeks after Boston and went in undertrainined…again (broken record – story of 2018 so far!). I ended up struggling toward the end, but there is always some beauty to be found in the misery. 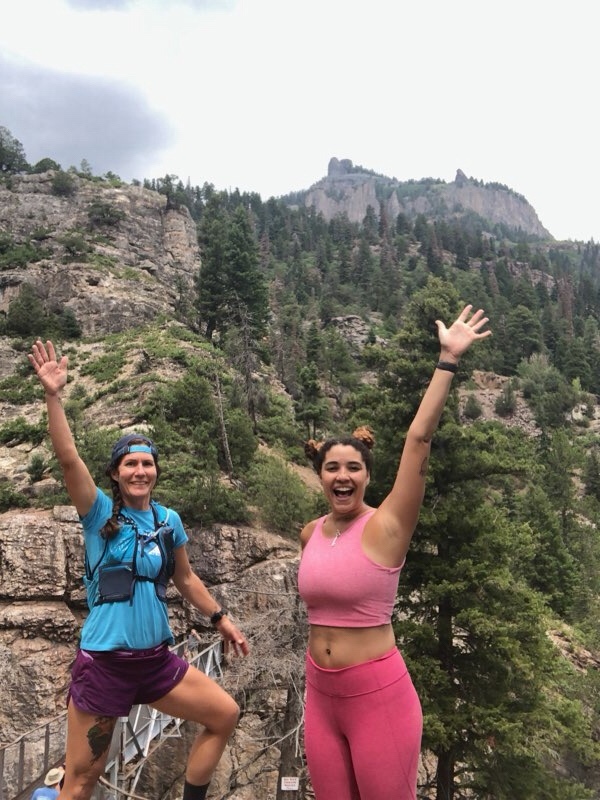 I shared those last miles with someone who was also struggling and we ended up becoming the best trail buds!! 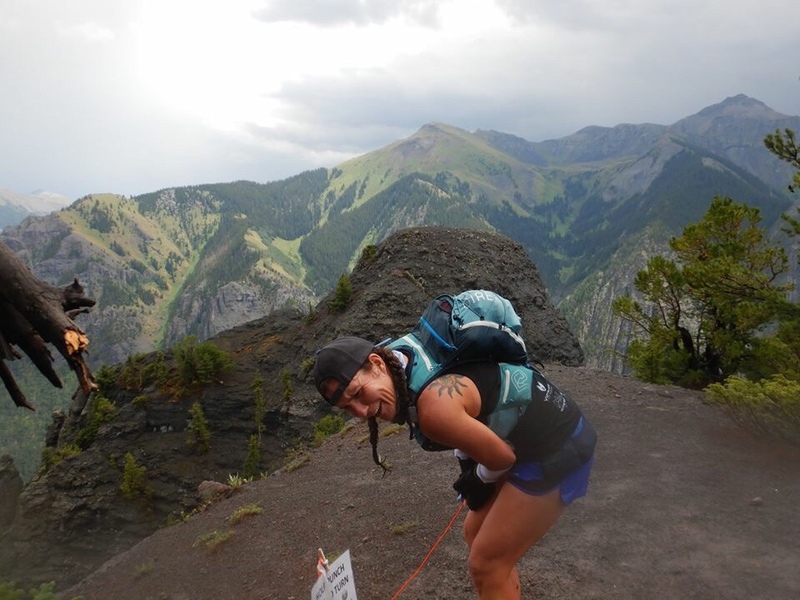 With Possum’s behind me, I could now focus on my <foolish> goal of running Ouray 50 miler. I had an entire 2 months to train for this beast and literally had NO CLUE what I was up against. But I had a bit of a renewed sense of excitement for training, which was a nice feeling. 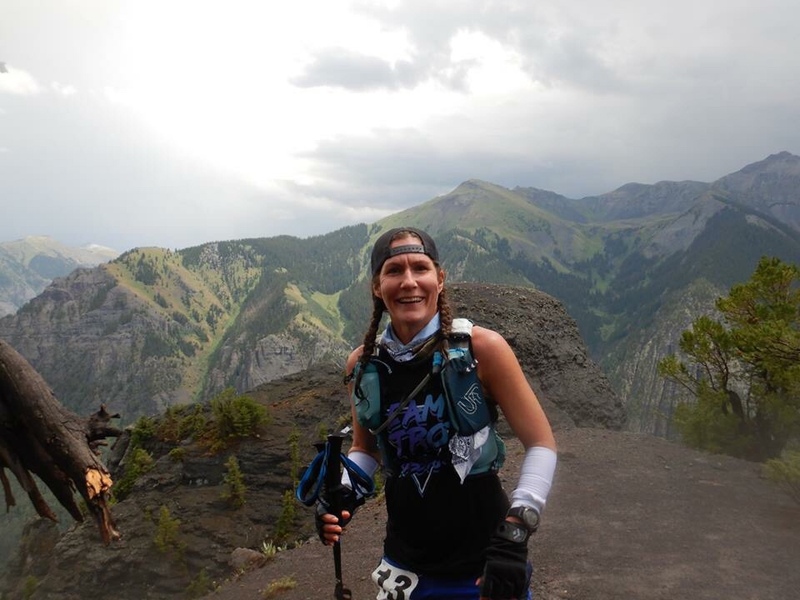 I showed up for Ouray knowing that I had slim to none chance for a finish, but I was just there for the challenge whatever the result. 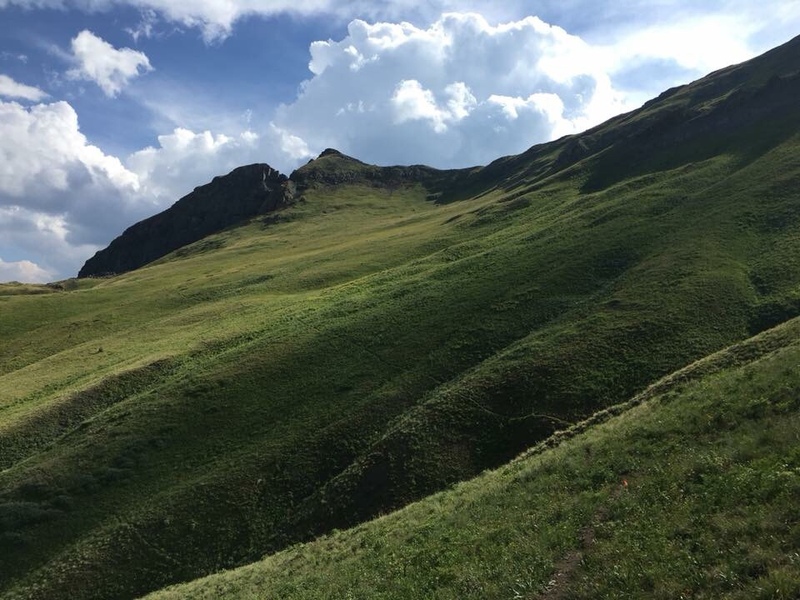 I got halfway before missing the cut, but I wouldn’t trade that experience for anything…and I was now IN LOVE with the mountains! I can’t wait to go back and finish what I started. 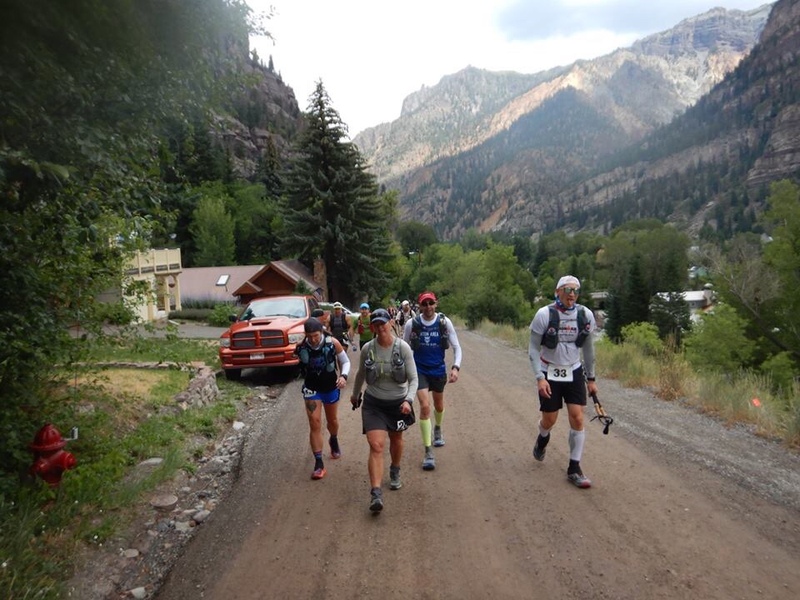 Coming back after Ouray, I had to go right into training for Cactus Rose 100 at the end of October. However, workouts weren’t going well. I was fatigued ALL THE TIME and all I wanted to do was sleep. When I ran I felt wheezy and out of breath. I couldn’t see any improvement in my fitness despite all the heat training I was doing. I was becoming seriously concerned that I was suffering from depression. I had also contemplated whether I was actually cut out for endurance. It was a dark time filled with a lot of doubt and apprehension. I had considered Inside Tracker blood testing several times, but had never pulled the trigger. I decided that the time had come and finally ordered my blood test. I received the results just days before my next race: Alamo City 50k. The test revealed that I was severely deficient in Ferritin. I was overwhelmed with this knowledge, but it was also very freeing. I FINALLY had a reason for the way I had been feeling! Alamo City 50k ended up being my worst 50k to date, but I fought through the fatigue, finished and had hope for what was to come. I just had to hang in there and give my body a chance to recover from this setback. I started supplements very soon after learning about my Ferritin deficiency and the results were almost immediate. My mood improved, I no longer felt the need to sleep all the time and the BEST thing: I could feel the fitness improving each and every workout! Cactus Rose was quickly approaching and the dread I had initially felt was replaced with an excitement about getting out there to race. Plus, my best trail bud had volunteered to come crew and pace! Tommy knew of my struggle to get back to being myself and deemed that Cactus Rose would be my reset race. He was so right!! Cactus Rose 100 ended up being my best race ever! Thanks to Tommy, the great training provided by my coach and my body getting back to normal, I felt like I finally “raced” a race. I came out of that event with a renewed confidence in myself. Tommy pushed me farther than I have ever been able to push myself. The experience was a highlight of 2018. I closed out 2018 by pacing my friend, Brent, to his first 100 mile finish at Brazos Bend 100. 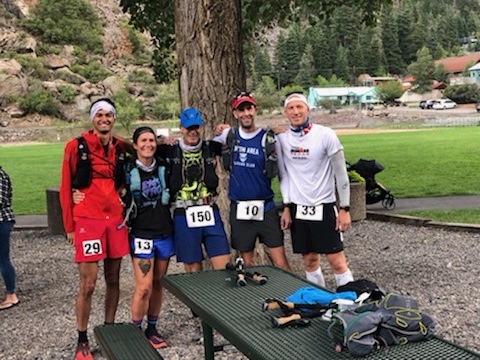 The next weekend, I was able to return the favor to Tommy and crew and pace him at his first 100 mile finish at Loup Garou 100. Being there, helping him get to that finish line is one of my most rewarding experiences to date! Buckle pics are THE BEST! Cactus Rose was more than a restart for me in my racing world – it was a reset for me mentally as well. Since then, I have started to feel like I am myself again. Mentally, I am focused and more confident and I am excited about tackling some big challenges in 2019. For the biggest part of the year, I had negative feelings when I thought about 2018. But as my health and mental state have improved, I am seeing the year in a positive light. I started and ended the year pacing and crewing. 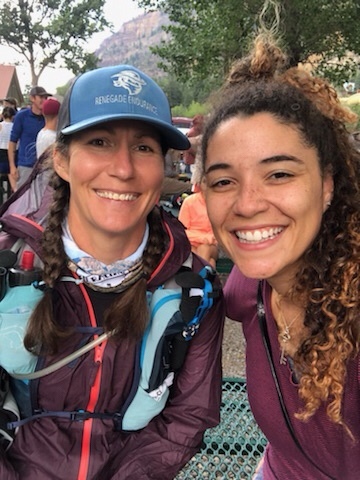 Focusing on others and helping them achieve their goals is a good way to stay grounded and provides a different and meaningful way to stay connected to the ultra running community. I wasn’t able to volunteer as much as I wanted in 2018, but the time that I was able to volunteer was extremely rewarding as well. I ran the BOSTON MARATHON. It was a truly amazing experience that I’ll treasure for years to come. Changing coaches ended up being one of the biggest blessings of the year! Greg’s training has made me stronger than I ever imagined that I could be and we have just started. A special bonus is the Team Ninja family that I inherited as a result. I have grown to love these people as if they were a part of my family. The camaraderie has enriched my life more than words can describe! My oldest daughter got married and we had a fabulous time celebrating with friends and family. I met my best trail buddy. We are so much alike it is a little freakish and have wondered if we are twins that were separated at birth. His friendship has definitely enriched my life! Continuing on through the adversities of the year definitely built some mental callouses that will come in handy in tough times to come. Here’s to 2019: testing limits and having adventures! Last weekend, I crewed and paced my bestest trail buddy to his first 100 mile finish. I LOVE crewing and pacing. It is completely different from the grind of racing, yet so important to the success of a runner, especially over the course of 100 miles. Because crew and pacer can make or break the race for a runner, it comes with A LOT of pressure. And contrary to what many people believe, pacing is NOT about keeping your runner company. I was so fortunate to have a good friend and fellow Ninja teammate, Kelley Mims, to come along for the fun. Kelley grew up in Louisiana and loves any excuse to go for a visit. Plus, she loves trail running as much as me and is always willing to help someone out. We were also camped next to some Dallas Dirt Runner gals and helped out with them when we could. 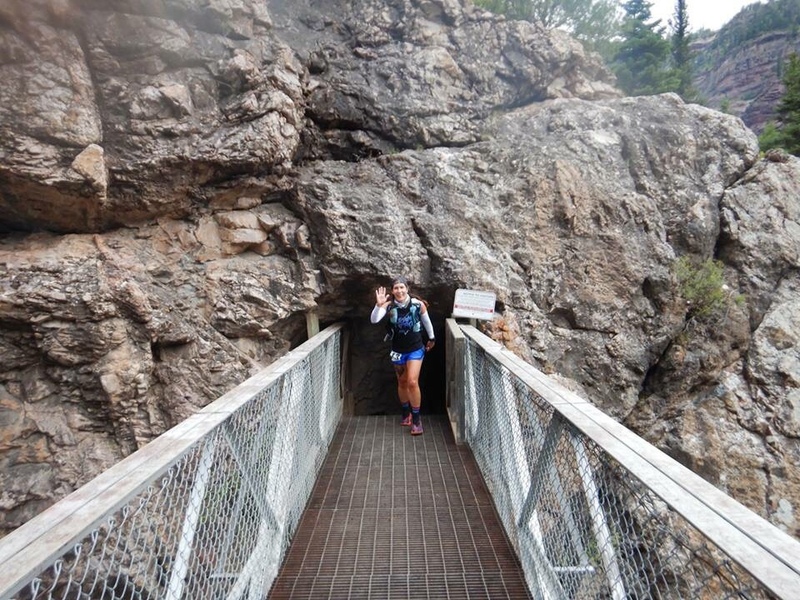 We ended up having some hilarious adventures with Ang while all our runners were out on the loop. I honestly can’t wait until I see her again!! The race was held at Chicot State Park somewhere in the middle of Louisiana and started at 7AM. The race was to be 5 loops of 20 miles, with me jumping in at mile 60 to bring him home to the finish. The weather was cool and overcast, with some misting throughout the day. Kelley and I would soon learn, as Tommy came in off the first loop, that the trails were muddy with standing water in some areas of the course from rains that had moved through during the week. Kelley and I worked to get Tommy everything he needed so that we could get him back out as quickly as possible. I taped a hot spot, slathered as much Trail Toes as I could get on his feet and sent him on his way. Tommy was moving well, but I was REALLY concerned about the feet. It was clear to me that feet were going to be the battle of the day. Between second and third loop, Tommy was still moving well and looking good. Kelley had taken one for the team and warmed up his macaroni & cheese with tuna (I COULD NOT warm up tuna. GAG) I taped a hot spot on his other foot, slathered more Trail Toes on, then on with dry socks. He also opted to change shoes. I should have stopped this – I should have made him wait until the start of the 4th loop. He didn’t have another dry pair with him and I didn’t override my gut on that one. I’m not sure if it made a huge difference or not, but everytime I reflect on it, I regret letting that happen so early. Tommy would update us at mile 8 and mile 16 aid stations each loop. I could tell during loop 3 that it was becoming difficult for him. He came in at the end of loop 3, 60 miles behind him, looking tired and a little defeated. But I know from firsthand experience that knowing you get your pacer can pick up the mood, so I was hoping that would help to put a little pep in his step. We changed his socks (again), and this time there were blisters to attend to. I did everything I could to make his feet more comfortable, but all day trapsing through mud and water in wet shoes was beginning to take its toll. Kelley and I were trying to get calories in him as well, but he wasn’t having much of that. Off we went on loop 4. The course was fun. I didn’t think the first 4 miles were nearly as bad as everyone had said, but then again, I was fresh as a daisy and hadn’t been battling the course all day. Tommy was moving slow. I had a good idea what battles he was fighting in his mind. I had to be careful at this point. 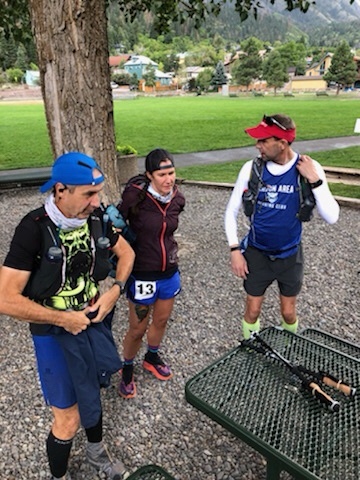 I knew we were in that delicate time during a 100 miler when your body is telling you to eff off, you’re off your goal pace and you can’t see any hope in the situation. I had to keep him in it, but without pushing him to a point that he went over the edge mentally. I never feel that I handle this part well. I can troubleshoot your GI issues, take care of your feet and manage all the other moving parts, but I feel like I always fall short in managing the mental state. In any case, I was concerned. I knew he was in a bad place, but somehow I managed to keep him eating and drinking and moving. Now if we can make the feet last 30 more miles…. We came in from loop 4 and I went to work on Tommy’s feet. Kelley had gone out to pace a runner from Dallas Dirt Runners who didn’t have a pacer lined up, so I was on my own! LOL. God bless Tommy. His feet were a mess. I drained so many blisters…again. I drained one with blood – I know, I know – but I had to do what I had to do. I joked that I could do this without issue but warming up mac & cheese with tuna crossed the line. Tommy wasn’t about to eat anything. I know how the stomach feels at mile 80, so I didn’t push it too much. Tommy asked about dry shoes, but we had none. Oh how I wish he could have worn my shoes, but they were just a tad too small. We sat for a minute to let him reset, then we were off for the victory lap. Tommy ended up crossing the finish in 27:26:42. I was so proud that my eyes actually got watery. I was more proud than I would have been if he had hit his original goal of sub – 24. He experienced the misery that 100 miles had to offer and WON the battle! Welcome to the 100 mile club, Tommy. You EARNED it! !